Eliminate noise with pressure sensitive, trim to fit soft fleece camo surface. Breakup fleece. Self adhesive micro fleece silencing pad in Mossy Oak New Break-Up camo. It is less than 1/2 the thickness of mole skin and is cut for Mathews Reezen model from 2004 to 2009. 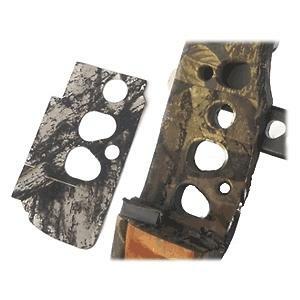 Self adhesive micro fleece silencing pad in Mossy Oak New Break-Up camo. It is less than 1/2 the thickness of mole skin and is cut for Hoyt Alphamax 2009 model. 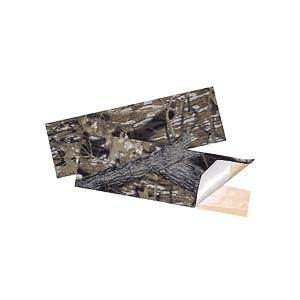 Self adhesive micro fleece silencing pad in Mossy Oak New Break-Up camo. It is less than 1/2 the thickness of mole skin and is cut for Mathews risers from 2004 to 2009.